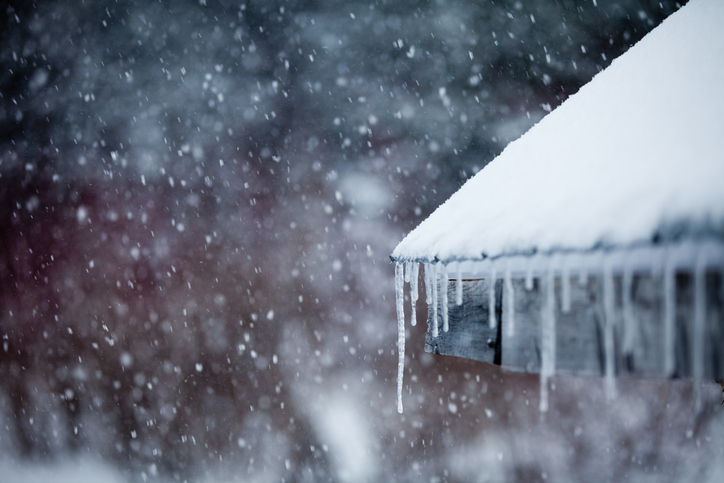 The extreme cold, freezing rain, blowing snow and ice caused by winter storms can lead to power outages, frozen and burst pipes, damaged roofing and siding, water leaks, and hazardous road conditions. Such severe weather may be hazardous to your family and property. By planning and preparing now, you’ll prevent the next winter storm from catching you off guard. Insulate the walls and attic, seal windows and doors, and install storm windows to increase your home’s heat retention. Allow a faucet to drip during frigid weather to help prevent frozen pipes. Learn how to shut off your water in case a pipe bursts. Clean the gutters and downspouts and repair your roof and siding as needed to prevent leaks. Clean and maintain your heating equipment and fireplace once a year. Consider installing a whole-house generator to counteract power outages. Keep an emergency car kit in the trunk at all times. Include an ice scraper, jumper cables, road salt, toolbox, blankets, non-perishable food and other supplies. Regularly check the fluid levels, windshield wipers, defroster and heater, battery charge, headlights and blinkers, tires, brakes, and exhaust system. Never let your gasoline fall below half a tank in the winter. You can hear about winter weather advisories, storm watches and storm warnings from a NOAA Weather Radio, the local news, weather apps and other sources. Take these warnings seriously, and make any last-minute preparations before the storm hits, such as going to the grocery store and filling up your gas tank. Recovering after a winter storm requires assistance from a disaster recovery company. If you need help cleaning up and repairing your home, contact DKI Services. Our 24-hour response team will arrive at your door to provide assistance within two hours or less.